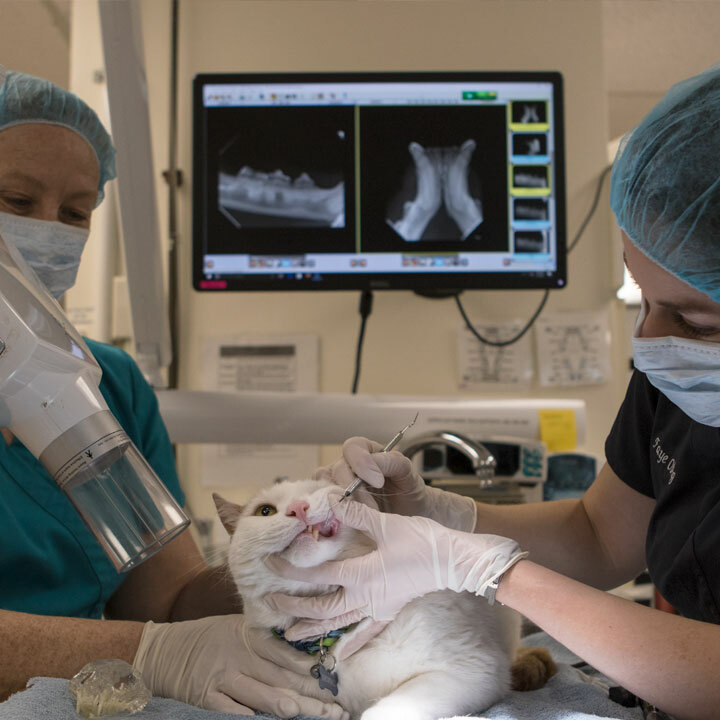 We pride ourselves in our ability to provide routine dental care for your pet. Thorough dental cleanings are performed while the patient is under general anesthesia. 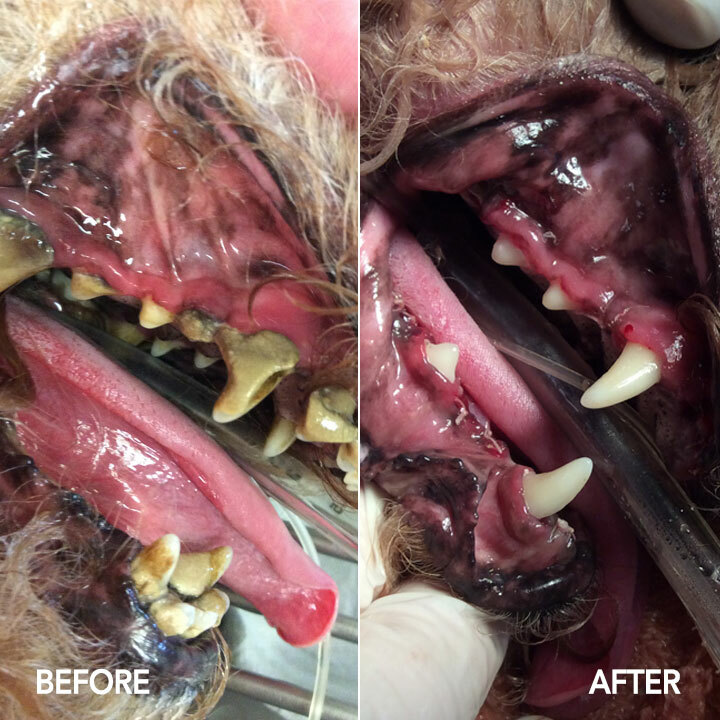 Our technicians are trained in dental hygiene and use an ultrasonic scaler and polisher to clean your pet’s teeth. Anesthesia is carefully monitored by the doctor as well as monitoring equipment. Any dental work (extractions, biopsies, etc) is performed by the doctor. Prophylactic dental cleanings are important to help maintain good oral health. Dental cleanings remove the tartar and plaque from the teeth. The tartar can lead to increased levels of bacteria in the mouth, which can subsequently enter the bloodstream and affect your pet’s kidneys, liver, and heart. Tartar can also lead to gingivitis, gum recession, periodontal disease, and ultimately tooth loss. We recently purchased a state-of-the-art digital dental X-ray unit. This will allow us to provide an even higher level of dental care to our patients. We can also use this unit to take X-rays of the nasal passages that are typically difficult to obtain with traditional X-rays. 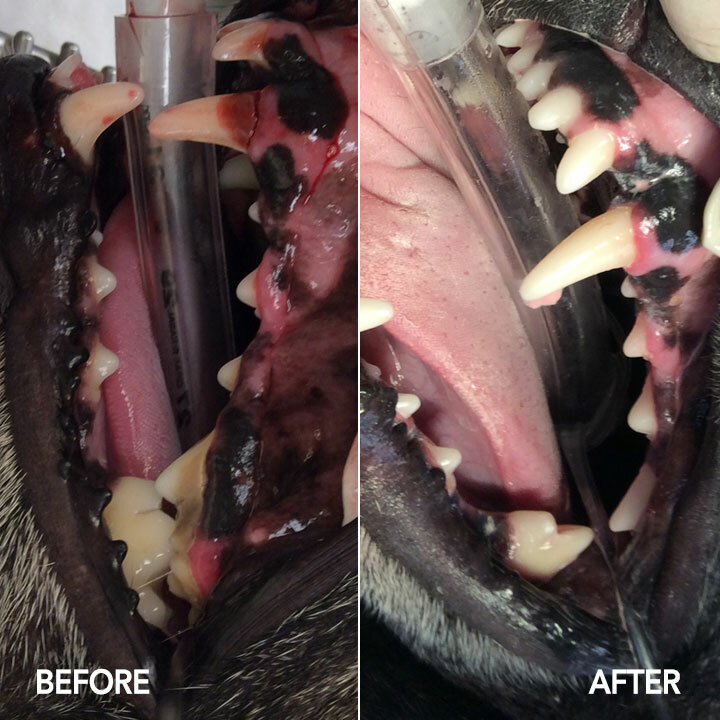 We will also be able to share the dental films, as well as before and after photos from your pet’s dental procedures.